Though we all complain about some plants we do actually need a few thugs. These are plants that will survive in more restricted positions where others would perish. 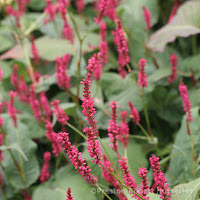 They can populate a bit of rough ground ahead of the weeds or tolerate parched dry soil. There are numerous quiet tolerant plants but true thugs are a category to pin down and often unexplored. There are extremes of dry and extremes of shade. The difficulties a plant may have to tolerate in a one gardeners interpretation of shade or dry I find vary a great deal. Prior to blaming the soil or the light for plants not thriving do consider what else is glowing close by and if a good bag of organic matter to freshen up and revitalise the soil may just resolve the problem. Certain plant release chemicals into the soil below making it deliberately difficult for companion plants to grow or thrive. This is known as allelopathy. Prime examples are some of the red leaved acers, walnut trees, eucalyptus, cistus and artemisia. Other plants will put nitrogen back into the soil and often make excellent neighbours. 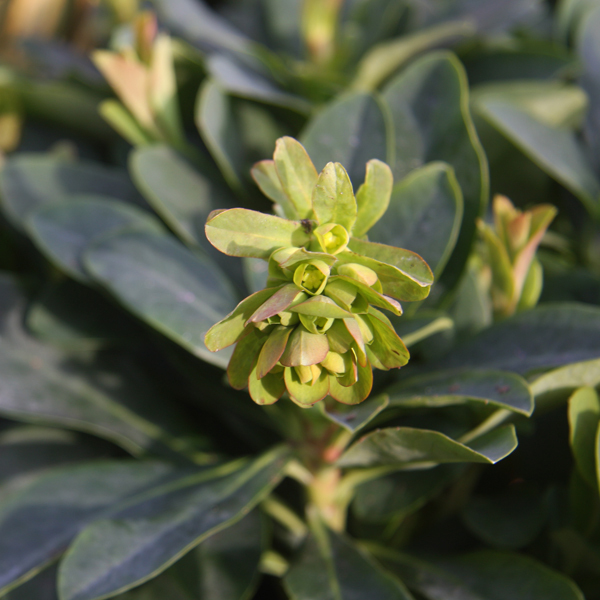 Eleagnus shrubs have been highlighted and those often in leguminous families hense the use of peas and beans in a crop rotation. Wisteria, laburnum, catalpa, gladitsia are probably easier trees to plant under then the walnut. Favourite ground cover thugs for me are comfrey, persicaria,otherwise known as super bum, Euphorbia robbiae, Vinca minor, lamium, Geranium maccrohizum. I would love to hear other peoples suggested useful thugs. Owning an extremely dry area on the east side of my house I have been able to test the benefits of a few thugs. I am happy to let Euphorbia robbiae thrive in one contained bed where very little else would. The lush green foliage and illumined bracts are actually very attractive. This can grow into a sea of green. It’s a case of right plant right place. Though I would have loved a hydrangea to climb the rear wall of my house it will never happen. Hydra meaning water. This is a plant that has to have moisture. I have another equally difficult dry bed where quiet by a chance planting an abelia has thrived. Here I am creating a happy bed of tough succulent sedum to brighten up late summer and autumn. I feel it’s a shame that we don’t get more excited about sedums as there are some great colours and varied foliage to play with. Unfortunately things in flowers sell best and when these are in flower and in August most of us are enjoying holidays and other things when we should be focusing on late summer colour in our garden of which there is abundance if you plant it! 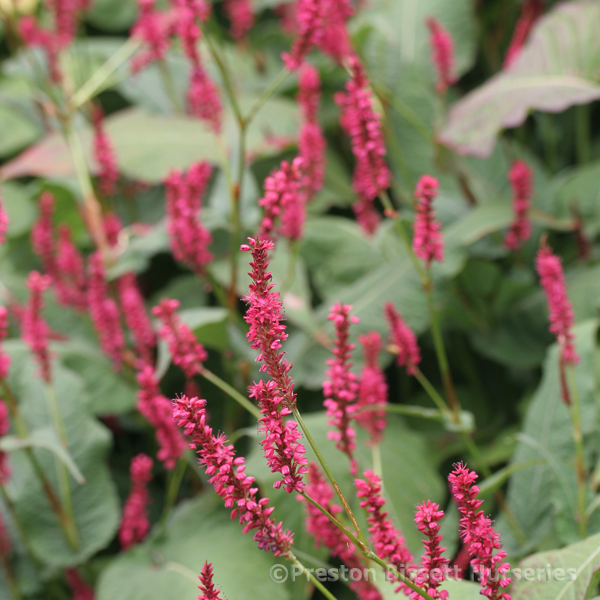 In my hot baked south west facing bed overshadowed by large evergreen marbled leaf laurel and photinia I have a patch of persicaria. Though it looks like a dock leaf some of the time it vigorously covers my soils suppressing weeds and once it gets going it swells to fill the whole area between the shrubs providing some height and a flower that lasts for ages. It’s come back year after year. It is disappointing that useful allies such as these will never make great sales as they have the appeal of a cabbage in the pot. Dead nettle or silver leaved lamium with a rich pink or white flower can really lift the colour of a garden. 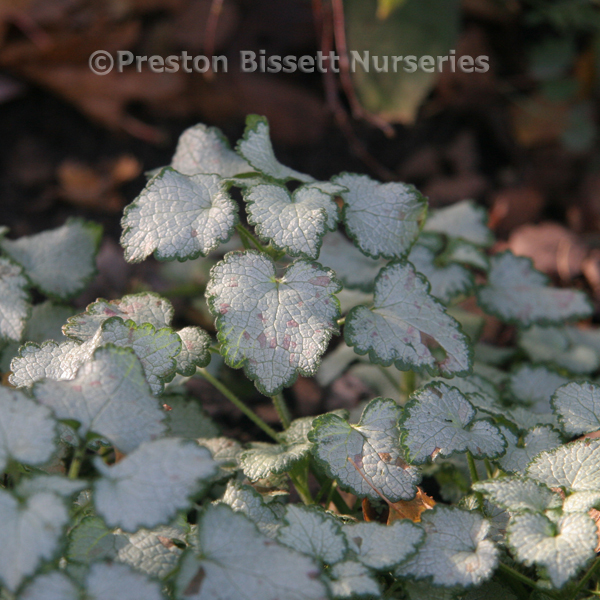 A highlight of perfect silver foliage which is ideal for edging borders just as we frequently do with nepeta and Alchemilla mollis. 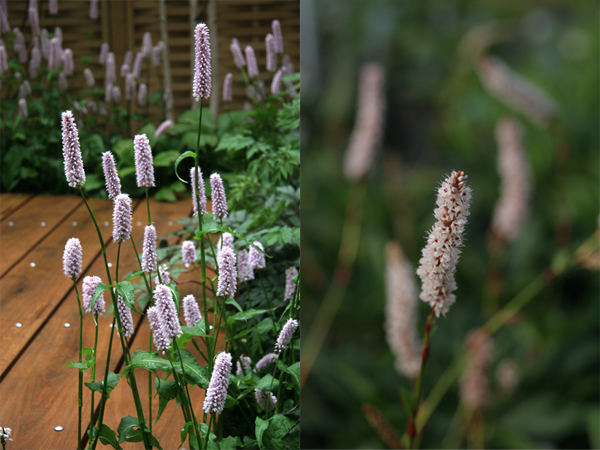 Gardens need silver and they need white to break up the colours, give the eye a break and highlight. This plant grows so easily almost anywhere it’s a gift. 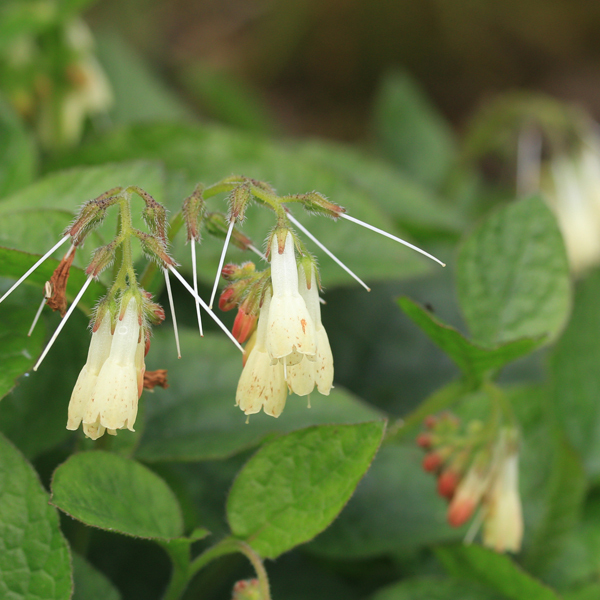 Comfrey is not always considered something to plant in a mixed border it does spread a lot. Its an accumulator plant with a deep roots which can draw nutrition from low down in the ground to sustain its self. This is why the leaves contain so much goodness when broken down for plant food. It will survive where other plants won’t and cover the ground. I think it’s quiet pretty. I do have to say that as I confused it with a pot of pulmonaria about 16 years ago and planted it, but its excellent ground cover, it stops the weeds, we can make fertiliser with it and treat wounds as they did in the 1st world war and it looks a lot better than a ditch of nettles! What will grow under leylandii, the trees that can make excessively tall hedges that ended up in the horticulture sector by mistake? Firstly they make the soil very dry. The one thing I have seen thriving underneath is vinca or periwinkle. Its evergreen with ivy like small leaves and white, purple or blue flowers. Its pretty just notoriously good at ground cover. Never ever plant Vinca Major unless you you want a larger even more vigorous variety. It is no average garden pet and should probably remain on roundabouts. 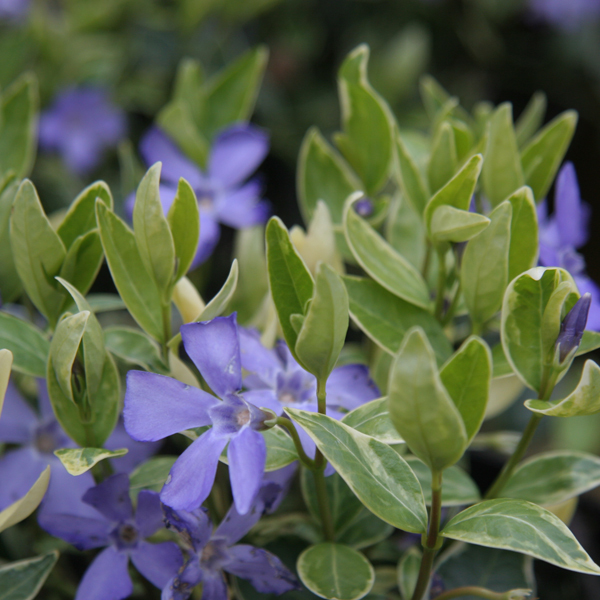 Vinca minor is pretty and extremely useful. Last but not least Geranium maccrohizum. 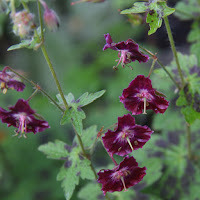 Its said there is a geranium for every situation and this is the one for ground cover where its difficult and shady and dry and not well looked after. It also makes a change from shady ground cover like pulmonaria, which I plant a lot. 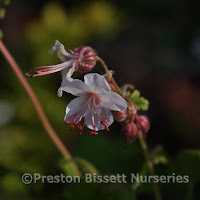 I have just planted a hybrid of maccrohizum Geranium xcatabrigiense ‘Biokovo’ also semi evergreen , any aspect any soil with a pale pink flower, which I expect to make ever better ground cover. 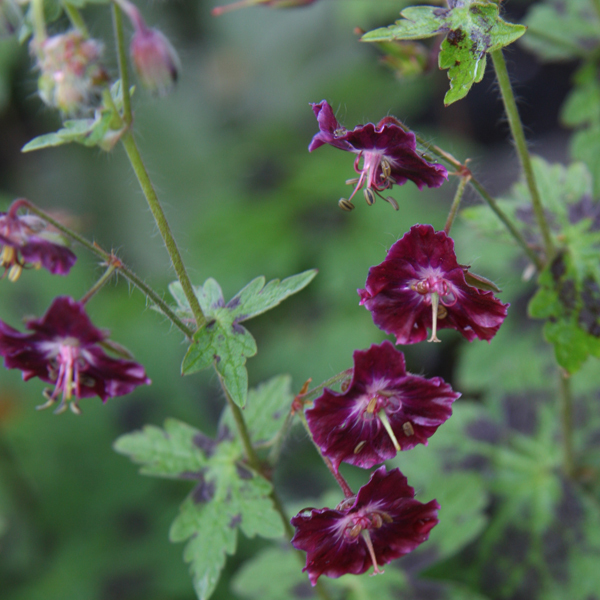 I also can’t resist geranium phaeums varieties with the pretty leave and a sweet spring flower evolving in my dense shady areas mixed with ferns and hostas a primulas. Here ends the argument for all plant thugs have a place!